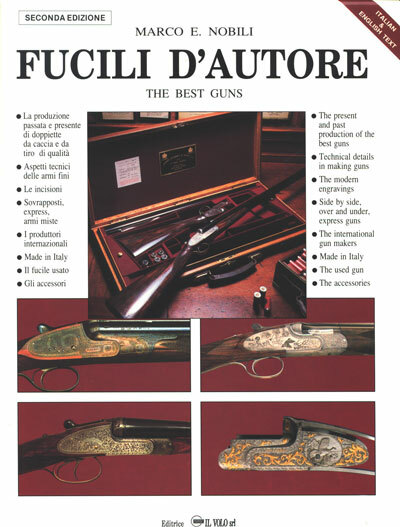 The present and past production of the best guns. Technical details in making guns. The modern engravings.Side by side, over and under, express guns. The international gun makers. Made in Italy. The used gun. The accessories. These are the main topics on this great book which combined with a large quantity of photographic images offers a very complete explanation.